Note: This article is for use by Billing Administrators or those club members that handle billing and invoices. You can create customized default email templates to email invoices and statements to members including new member welcome template. 4. 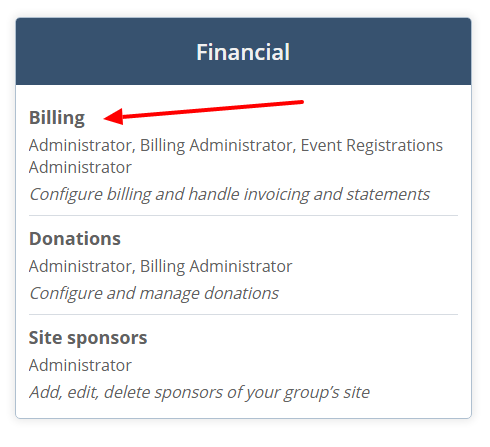 On the Billing Configuration page, locate Email templates then click the Configure button. 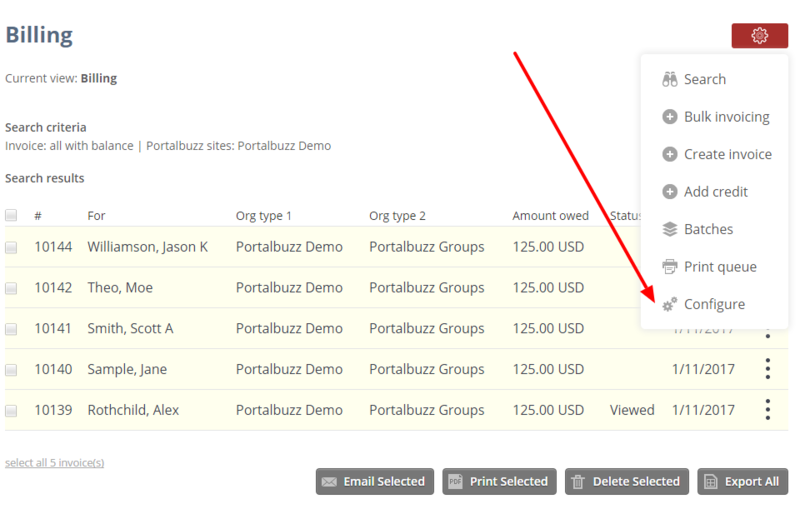 A. Click the Invoices tab if you want to edit the invoice notification email template. B. Click the Statements tab if you want to edit the statement notification email template. C. Click the New member welcome tab if you want to edit the new member welcome message. The email can include any information that you would like to share with a new member like club meetings, upcoming events, how to access the website, etc (does not apply to Kiwanis clubs). Note: You can edit or personalize the subject and content, but make sure not to delete the invoice default variable in the subject or content box. This is how information is pulled in from the contact form. 5. Click Save template to update the information. 6. Click the Return to configuration button to go back to the Configuration page.